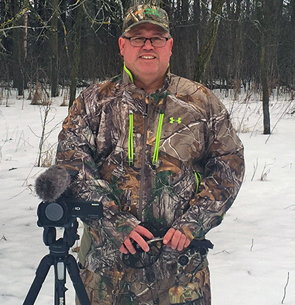 John Molden is the owner of Big Buck Adventures, a Waite Park, Minn.-based company that produces a high quality gland base scent. Big Buck Adventures produces a one-of-a-kind Pre Orbital buck scent, and in addition to scents, the company offers minerals and quality food plot seed. At the Outdoor News Deer and Turkey Classic, John will be presenting “Creating Mock Scrapes”.